New Hearing Aids Help Veterans And Active Military Better Than Ever. These typically exceed the safety threshold of 85 decibels (dB) by a significant margin (e.g., mortar fire can exceed 140 dB). While some members of the military report having fairly advanced hearing protection as part of their gear, many others say they only ever received simple foam earplugs ― or nothing at all. So, it’s no wonder that hearing loss and tinnitus are two of the most frequently reported service-related injuries. Helpful Links For Veterans And Active Military. 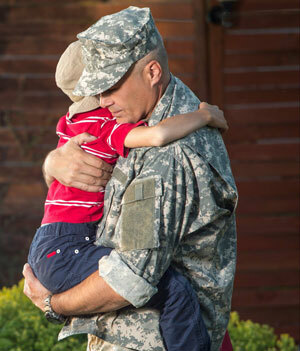 World Class Hearing Aids For Veterans And Active Military. Did you already get your hearing aids through the VA, but have trouble getting an appointment for a simple tune up or cleaning? Call me and I'll take care of you. Good hearing aids are expensive, however their real value is in the ability to be fine tuned and properly fit so you can enjoy listening to the sounds of life. If you can't get an appointment with the VA or it's just too far to travel, call me and I'll step up to the plate and get you taken care of. The Great American Hearing Aid Company is dedicated to helping vets keep their hearing aids adjusted and running properly. We don't believe our vets should ever be forgotten. You already paid your dues by serving our great country, now it's our turn to serve you with honor and dignity. Are you a vet who could not prove "due cause" of their hearing loss, no worries! We offer a full range of very affordable, top-tier hearing aids and accessories to all veterans, at additional discounts, (below our already guaranteed lowest prices in all the Verde Valley/ Cottonwood area). You don’t have to experience the frustration and isolation of hearing loss any longer, because we have all the solutions. Call Todd "Earman" Faasse' at to schedule an appointment for a hearing test. Hearing aids designed with natural hearing in mind. Assistance For Veterans With Hearing Loss And Tinnitus. If you’re a veteran who wishes to get your hearing tested, register via the health administration/enrollment section of the VA medical center of your choice. This can be done in person, online by filling out Form 10-10EZ, or by mailing a completed Form 10-10EZ to your chosen VA medical center. For details on the eligibility of enrolled veterans for hearing service coverage, visit the VA.gov website on medical benefits. After registering, request a referral to an Audiology and Speech Pathology Clinic from your VA primary care provider. If an audiological evaluation reveals you require hearing aids or other assistive devices, they will be provided at no charge. Your audiologist will explain how to order batteries, wax guards, and other hearing aid accessories during your consultation, as these and future repairs will also be covered by your VA benefits. Contact your local VA to schedule an appointment for a hearing test today.